NEW YORK, NY: The iconic British brand will make its North American freestanding retail debut in October, at Yorkdale Shopping Centre in Toronto. The 2,800 sq. 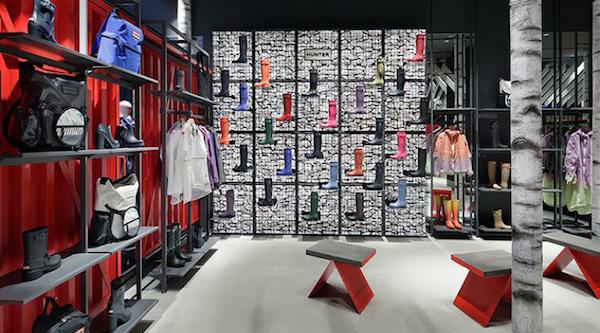 ft. store will be the third standalone location for the brand, whose boots are sold in department stores and specialty shops around the world. It will showcase the brand’s weatherproof footwear, outerwear and accessories with the full Hunter Kids collection. To date, Hunter has opened two stores, one in London and the other in Tokyo. But more outposts are likely. Creative director Alasdhair Willis told Women’s Wear Daily that the brand is “planning activity in New York and London, in addition to the Yorkdale store opening, in line with that. Details to be outlined in due course.” Willis also said that the U.S. is Hunter’s biggest market.